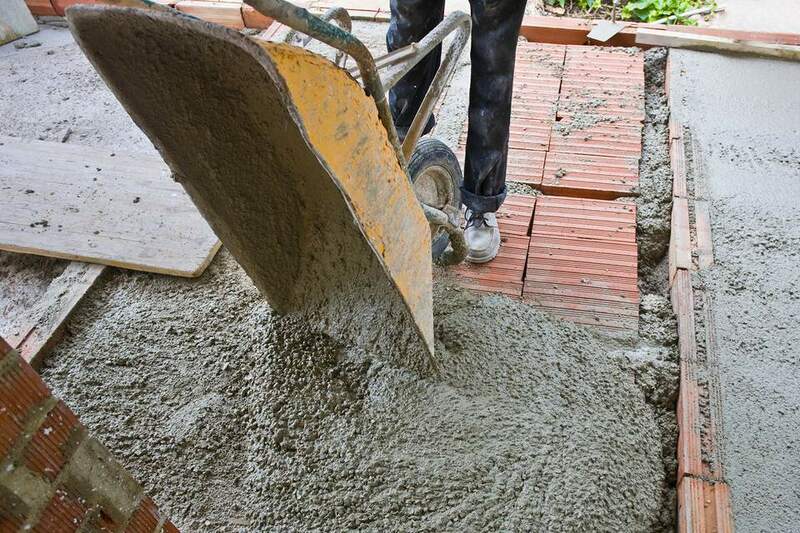 At some time you are going to have to figure out how much concrete you need for a repair or a major project, maybe for foundations in a wood deck project. Same thing for buying sand which usually serves as the base for a concrete project. Few things are as frustrating as having way too much sand delivered or running out of concrete for a project because you mismeasured. A cubic foot can come in many shapes as we'll see. In this tutorial, I'll explain how you can easily figure out the cubic feet or cubic yards needed for a project. The surface area of a concrete slab or sand base is directly affected by its thickness. In the photo, you see two examples of a measured cubic foot. 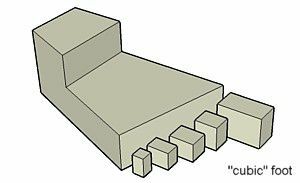 Since a cubic foot is measured by Length x Width x Thickness, a cube 1-foot long x 1-foot wide x 1 foot thick is therefore 1 cubic foot. As you reduce the thickness, you increase the surface area (LxW) coverage, like cake batter. To determine how many cubic feet you need for a hole, measure the length, width, and thickness together, all measured in feet. So a 4" thickness is 4"/12" or 0.333 feet. The result of this Length x Width x Thickness multiplication is cubic feet. Likewise, a cubic yard (yard = 3 feet) is a cube 3 feet by 3 feet by 3 feet ​or 27 cubic feet.